We loved showing Prince Harry around Ulva Island / Te Wharawhara this week—and he enjoyed the island’s unspoilt rainforest, pristine golden beaches and getting close to some of New Zealand’s rarest birdlife. A list of Frequently Asked Questions about the situation on Ulva Island has been compiled and placed on the Department of Conservation website. This list of questions covers what is happening with the rats on Ulva Island as well as information about the proposed eradication operation. If you have another question that isn’t covered by this list, please let me know and I’ll see if I can add it in so that the information is available for everyone. A date has been set for the meeting to discuss biosecurity. The meeting is planned for the 7.30pm, Thursday 28th April at the Community Centre. 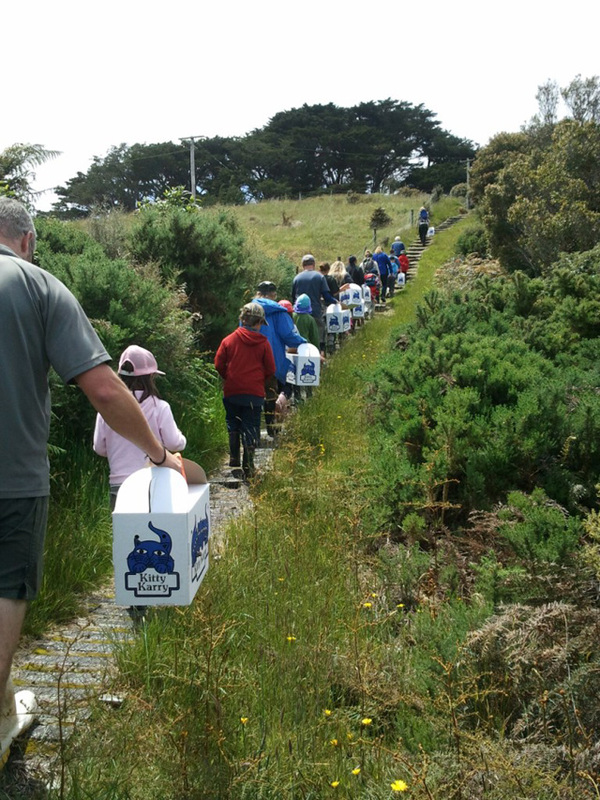 Biosecurity is the term that we give to all of the actions that we take to keep an island pest free. On Ulva Island it consisted of traps and bait stations on the island, traps on people’s boats, quarantine procedures for gear going to Ulva, signage and regular publicity. While the biosecurity network on the island was effective at preventing a rat population establishing for 15 years, it has failed this time round. This has prompted lots of people to have ideas on how it could be improved to further reduce the chances of this situation occurring again. We would like to capture all of these ideas, so please bring them along to the meeting. The eradication operation isn’t going to be cheap and DOC doesn’t have the funding to pay the full cost of the operation. The Department has reprioritised its work and has found about 50% of the costs. Thankfully we are starting to get some good community support behind what needs to be done on Ulva Island. This started with The Birdlife International Community Conservation Fund pledging $5000 toward the costs. The Les Hutchins Conservation Foundation has also shown strong support with a promised substantial donation toward the operation. On top of this, the University of Otago has offered to monitor the impact of the rats and the eradication operation on the saddleback and robin populations. If you think you can help, the Ulva Island Trust is co-ordinating donations. Further details of how to give can be found on their website www.ulvaisland.org. 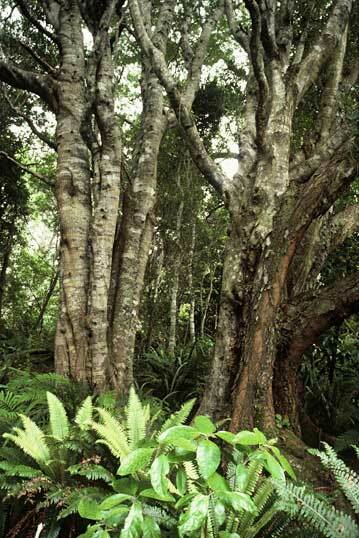 The Department has lodged a resource consent application with Environment Southland. Environment Southland has notified this consent allowing anyone to make a submission. This notification was in this past Saturday’s newspaper as well as the ES website. Environment Southland run a good process and we think they will be a good independent evaluator of our proposed methods and controls. We encourage you to make a submission (in support or expressing your concerns), so that ES can fully evaluate this application. A few days ago I promised an update as soon as I had the figures from the last trap check and I indicated that we were close to a decision on which method we would choose to pursue. I’ll cover both of these topics in this update. Staff were out checking the traps on Friday and caught another 26 rats. This brings the total caught since Christmas to 96. As discussed in the last update, the rat traps have gone past the point of preventing population growth. 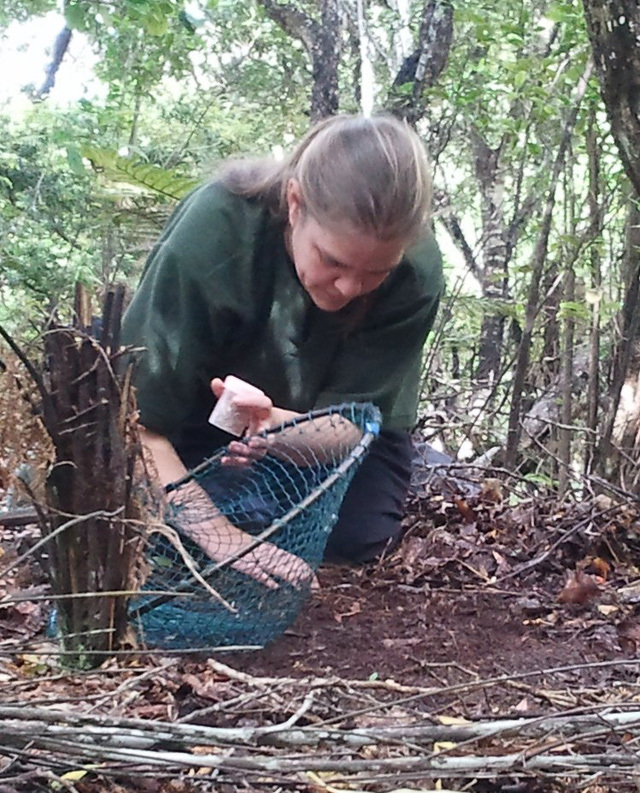 The rat population has reached a point where its growth will no longer be influenced by any efforts that we put into trapping – even if we were checking traps daily. Therefore, the rat traps have now been closed so that the three days of effort per check can be used elsewhere. The traps will stay in location and will form part of our biosecurity network on the island when we have removed the rats. Biosecurity is the term that we give to all of the actions that we take to keep an island pest free. On Ulva Island it consisted of traps and bait stations on the island, traps on people’s boats, quarantine procedures for gear going to Ulva, signage and regular publicity. While the biosecurity network on the island was effective at preventing a rat population establishing for 15 years, it has failed this time round. This has prompted lots of people to have ideas on how it could be improved to further reduce the chances of this situation occurring again. We would like to capture all of these ideas, so are planning a public meeting in the next few months to get your input into how to keep rats off Ulva Island. We don’t yet have a set date, but will let you know as soon as we do. After considering the advice of the world experts and the feedback from the local community, the Department has made a decision on which method it will pursue in our attempt to eradicate rats off Ulva Island. It has become apparent in the last few weeks that the only method that gives us any hope of achieving eradication is an aerial spread of bait containing rat poison (brodifacoum). The decision was made as an aerial spread will be the quickest to achieve the result and has the highest chance of succeeding. It is the best tool for the job and we would be complicit if we attempted anything else. This was re-inforced in recent days when we read up about the Fregate Island eradication failure being blamed on the use of bait stations. 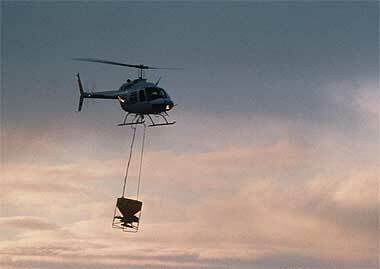 Aerial bait spread has been extensively used so we have a lot of information about its effect. 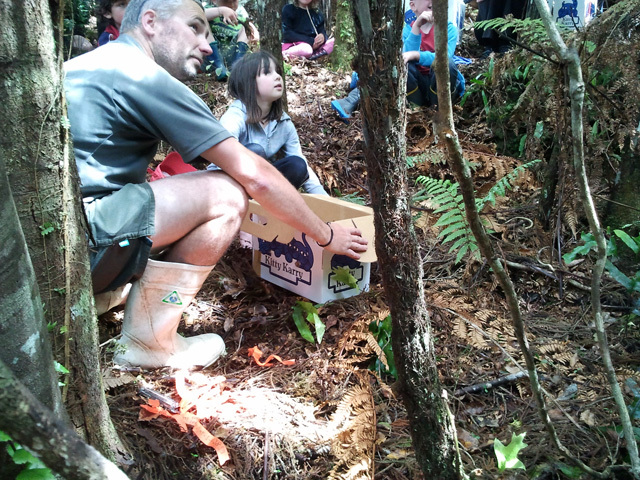 It is the method that has resulted in most of New Zealand’s key wildlife sanctuaries (e.g. Codfish Isl/ Whenua Hou, Kapati, Karori, Campbell Island, Taukehepa, Maungatautiri, Orokonui, Little Barrier Isl.). The Department, in partnership with the Hunter Family, will be lodging a resource consent application with Environment Southland in the next few weeks. Environment Southland will notify this consent allowing anyone to make a submission. Environment Southland run a good process and we think they will be a good independent evaluator of our proposed methods and controls. We encourage you to make a submission (in support or expressing your concerns), so that ES can fully evaluate this application. Q. Why an aerial drop? Surely the ground based approach is the safer option? R. We have now completed many island eradications using aerial spread of bait that has resulted in some of our most unique and valuable pest free sites, including Codfish Island / Whenua Hou and Campbell Island. 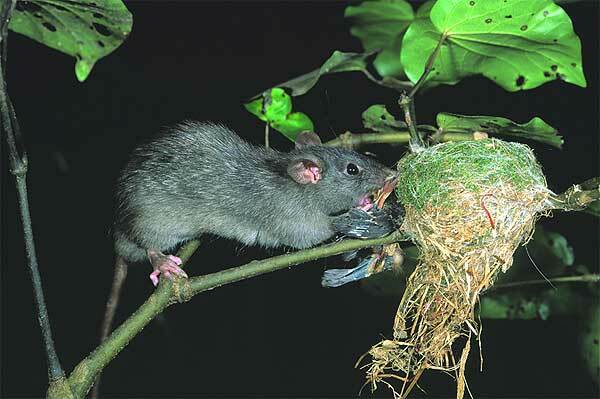 Ulva Island is at threat from rats. We only have a limited range of tools to deal with this. We need to use the best tool for the job that will save Ulva from rat-induced devastation. 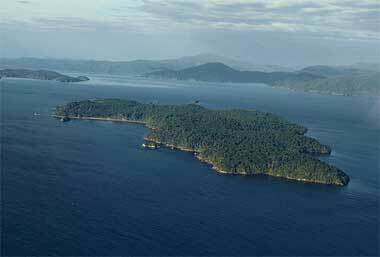 The Department’s preference is for an aerial operation as this has a greater chance of success than a bait station operation and can be completed much more quickly – effectively restoring Ulva Island to a rat free state before too much damage is done by the rats on the wildlife or the businesses that rely on this wildlife. Unfortunately a ground based eradication is far from a “safe option”, with bait available in the environment for a whole year and a much higher chance of failure. It is also a much more expensive option. With an aerial operation, bait will be taken to where the rats are so that they don’t have to move any distance to find some bait to eat. A bait station operation would require rats to travel some distance, through areas of high natural food abundance, to obtain a meal of rat bait – increasing the risk that they simply won’t encounter bait. R. While there have been many eradications worldwide, almost all of these have been with established rat populations that have reached peak numbers and exhausted the food supply. The situation on Ulva is very different where rats are newly invaded and have unlimited food supplies. This situation has only been encountered once before, on Fregate Island in the Seychelles where rats invaded in 1995 and they attempted to eradicate them using bait stations. This failed and the recommendations from this attempt were that the rats weren’t using the bait stations and if the situation was encountered again then bait should be presented to the rats in a way that didn’t use bait stations (e.g via an aerial application). Rats were eventually eradicated from the island 5 years later by an aerial baiting operation after the rat population had peaked. Q. Will this work? What are the chances of success? R. This is new ground and, even though we are using the best tool in the box, we may still fail to eradicate these rats. The rats have unlimited food available and may not have any interest in eating the bait. Even though there is a very real risk of failure, there is also a good chance of success and this, coupled with the current value of Ulva Island, make us think that an attempt is worth it. The alternative is to wait until rats have reached peak numbers and exhausted the food supply. Q. When would an aerial drop occur and how long would it take? R. An aerial drop would occur sometime between May and September. The exact timing depends on obtaining a resource consent and then having a four day fine weather forecast. Four days of fine weather will keep the bait in good condition for enough time for rats to find and eat it. The best practice for eradications is for two bait drops to occur about a week apart. The bait drops will only take a few hours on each of the two days. Q. Will the island be closed? When? How long until Ulva could be used as normal again? R. It is likely that we would close Ulva Island on each of the days of the two bait drops. Bait will be cleared from tracks and beaches early the following morning and the island will again be able to be visited. Signs warning that bait may be present will be present and visible until such time as we are sure there is no further risk of bait being present. As long as people don’t let children go unsupervised and avoid eating or handling any baits they encounter, then the island could be used as normal from the day immediately following each bait drop. Q. What is the effect in the coastal marine area. Will you poison people who fish in the area? R. In reality the risk of this is very low. Some bait will indeed enter the marine environment. This will be in the order two pellets per metre of coast, or less than half a kilogram of bait in a 100m stretch. The well monitored Kaikoura bait spill dropped 18 tonne in a 100m stretch and effects were limited to that 100m stretch. While the marine reserve is obviously not the local food basket, we will be discussing concerns about bait entering the marine environment with the Mataitai committee. One option that has been raised has been for a Rahui to be placed around Ulva Island to completely eliminate any possibility of eating fish that may have had contact with bait. Exploring potential solutions such as these may pave a way forward. We are also seeking advice from national marine and fisheries experts. It has now been two weeks since the public meetings and I’m sure that many of you are wondering what is happening. Unfortunately, we have very little news from the island itself. As mentioned previously, the rat traps have gone past the point of preventing population growth, so we have scaled our trapping checks back to once per fortnight so that staff can focus on the planning to eradicate rats. 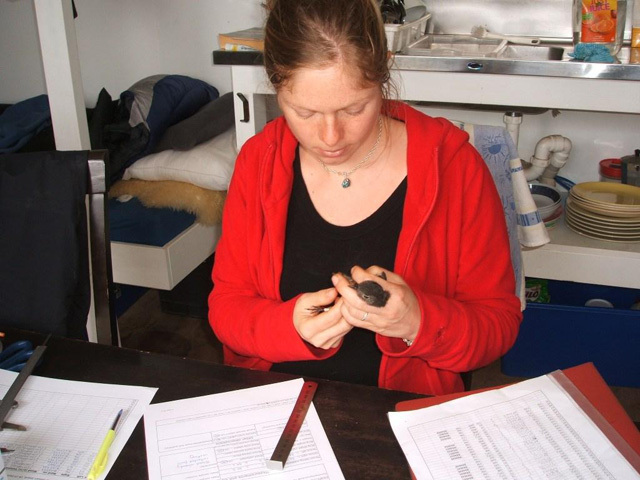 The last check, just prior to the meeting, brought the total number of rats caught to 70. These have been caught all over the island. 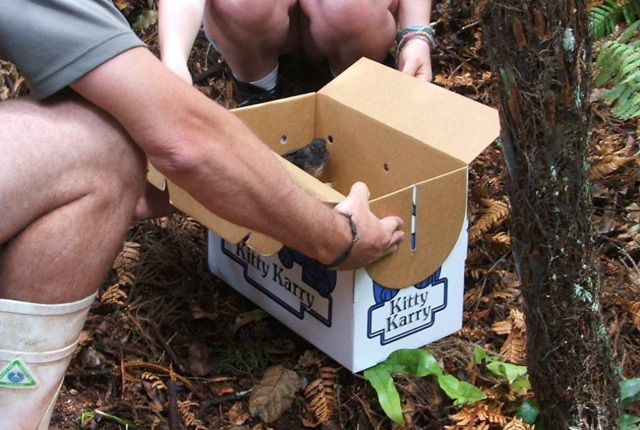 The next trap check is scheduled for Friday – I’ll update you as soon as I get the results. This upcoming rat trap check will be our last. We will close the traps after this so that the 3 days of effort per check can be redirected onto more urgent tasks – such as planning for the eradication. It is important to understand that the rat population has reached a point where its growth will no longer be influenced by any efforts that we put into trapping – even if we were checking traps daily. Effort has continued toward planning for an eradication operation. The Department will finalise its planned approach by the end of this week and we will then focus our effort onto the required preparation and planning. Regardless of the method chosen, we have appointed a project manager, Paul Jacques, who will be able to work full time on making Ulva Island rat free again. Paul has been the project manager for the possum control work on Stewart Island and we are reallocating his essential possum control tasks to other people and deferring or cancelling non-essential work. As part of the planning, we have also been reviewing other island eradication operations and discovered that we aren’t the first group to be in this situation after all. Back in 1995, Fregate Island in the Seychelles group (located in the Indian Ocean) was invaded by rats and they attempted to eradicate them while numbers were still low using bait stations. 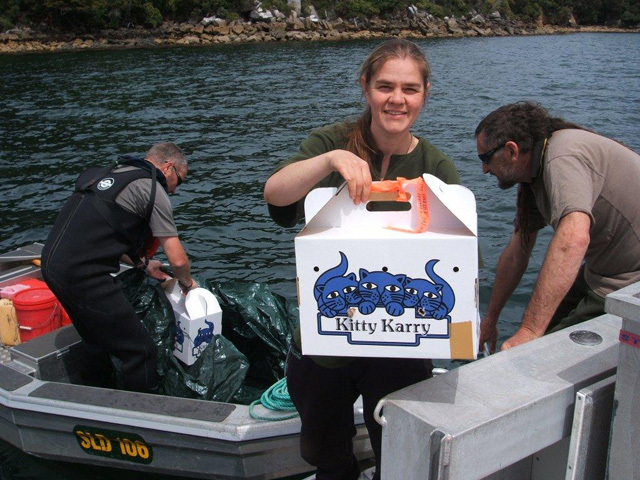 This is a similar situation to Ulva in that rat numbers were building rapidly and had unlimited food supplies. The bait station operation failed and they had to wait until rats reached peak population density and exhausted the food supply before they were able to eradicate them using an aerial bait drop. Recently we received a real boost to fundraising for the eradication from Birdlife International Community Conservation Fund. This fund donated $5000 to kick-start fund raising. If you wish to help Ulva Island become rat free again, then the Ulva Island Trust will be co-ordinating any donations. Keep an eye on their website (www.ulvaisland.org) for details about how to donate. In the last few weeks there have been lots of good questions asked about what is going on and why. We will try to capture these questions and answers in a Frequently Asked Questions section loaded on the Ulva page of the DOC website. We should have this in place within the next two weeks. If you have a question, feel free to give me a call or send me an e-mail.